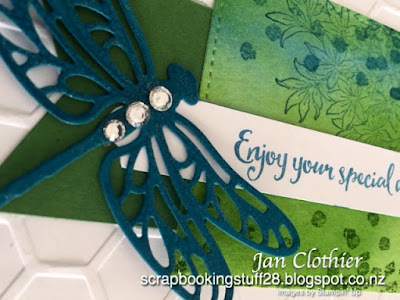 Thinking Stamping: As You See It Challenge is back! If you used to play along with us at As You See It, you will have noticed that we've been absent for some time now. It's a long story but it's covered by saying we experienced extreme technical difficulties and after a lot of attempts to save the site, we've started afresh. Should anything go wrong this time round, it would pay to check in at our Facebook page for any updates or information. Like us here on Facebook anyway to keep up with the latest in challenges and winners! 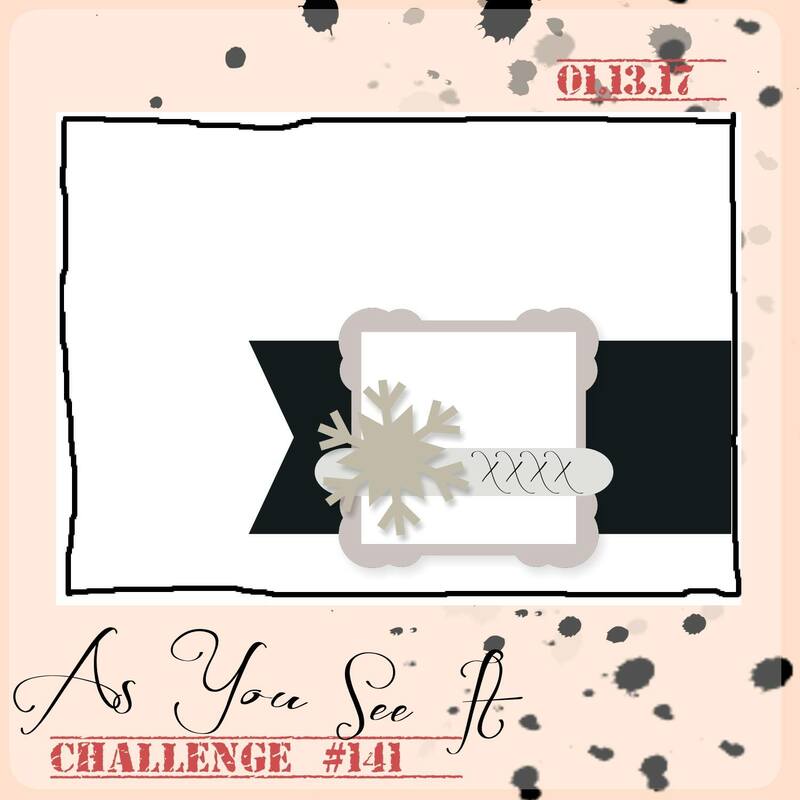 So, it's with great pleasure we kick off the renewed As You See It Challenge with a fabulous sketch for you to play with. 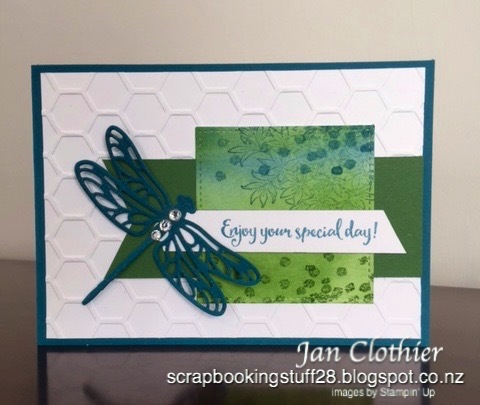 I'm so enjoying the new Dragonfly Dreams and Detailed Dragonfly thinlits from Stampin' Up and so here they are again! The stitched square framelit made a lovely edging for the acrylic block stamped panel. 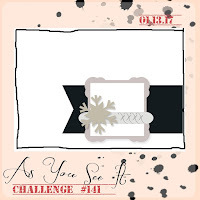 The stitching is taking the place of the ornate mount in the sketch. It's hard to see here but the dragonfly has a glimmer, courtesy of some clear Wink of Stella. Remember, you have TWO WEEKS to join us in showing us how you see this sketch and we'd love to see what you do. 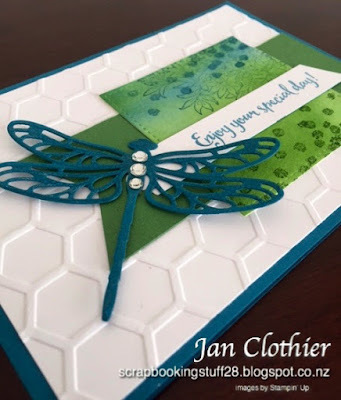 Other: Detailed Dragonfly thinlits, Hexagon embossing folder (retired but there's the new Hexagon Dynamic Textured embossing folder in the new Occasions catalogue that's even better! ), rhinestones, clear Wink of Stella, dimensional.